The Run-Around: 2, 4, 6, 8 ... What Do We Appreciate? Cheering! We live for the applause. Or do we? Runner's guilt: (noun) the feeling of general guilt or unworthiness that a runner has when he or she sees others running -- typically racing -- and said runner is not participating. Like many trail races, this one was solitary for the participants: they were missing out on the adrenaline rush of having spectators. Except for me, so I offered some encouraging smiles and "good jobs." I also stayed as much out of their way as possible -- there is nothing more frustrating than having an unsuspecting pedestrian cross in front of you and break your rhythm. Anyway, it got me thinking about cheering and applause and how that affects us during athletic events. Major sports have cheerleaders that accompany them, and most events have spectators who scream, clap, and do the wave. Running usually has someone standing on the course with a cowbell (Not sure how that tradition got started. A line of research for another day!). After some googling, I learned a couple things: The science of encouragement isn't widely studied, and that a lot of people don't think applause actually does anything for the athlete. That didn't really make sense to me because, as an athlete, when someone cheers for me, calls my name, or applauds, I feel a mood boost, which in turn boosts my performance. In my opinion, when someone does this for me, I feel an instant connection with them whether or not I know them well. Applause is universally recognized as a way to show support and encouragement. How could it be anything but helpful? Dr. Paul Freeman of the University of Exeter in the United Kingdom studied encouragement with a group of three golfers. He offered each words of support, listened to their problems, and gave reassurance. He then mapped out the performance of these golfers over a series of games. The correlation was obvious: When they received positive reinforcement, the golfers all performed better. This is a limited study, but it does go hand-in-hand with fans' drive to verbalize their support for their teams. Why else would people storm stadiums with matching jerseys, painted faces, and foam fingers? 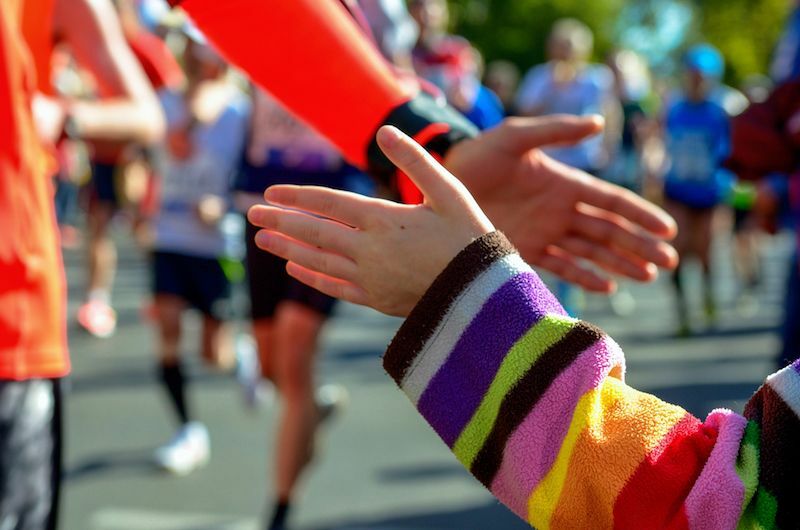 According to Dr. Freeman, supportive friends and family can directly affect your performance. But as for those spectators? Dr. Natalie Newton claims that crowds do get the athletes' adrenaline up, but that if you're in a fine motorsport, silence is better. Adrenaline isn't necessarily going to help you get a hole-in-one, but it is going to get you to the finish line faster. So next time you're watching table tennis, use jazz hands, and when you're spectating a race, your screaming voice is much appreciated. If you're shy or nervous about wrecking someone's focus? A sunny smile is always a good idea! What do you think about applause? Does it help you? Let us know in the comments below! Shout-out to the Jingle Bell runners and walkers. According to the DPCF Facebook page, the race this weekend brought out 500 participants who were able to raise over $65,000 for lung and ovarian cancer research! Have you signed up for the Annapolis Santa Speedo Run yet? Learn more about it here!